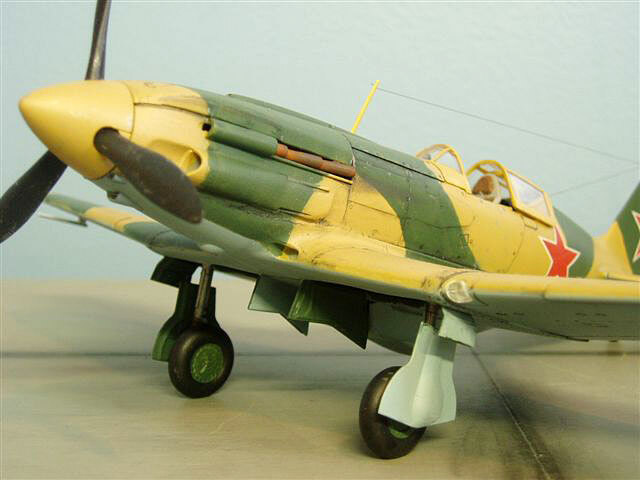 Here is my 1/48 scale ICM MIG-3 built straight from the box except for photo-etched seat belts from Lion Roar . 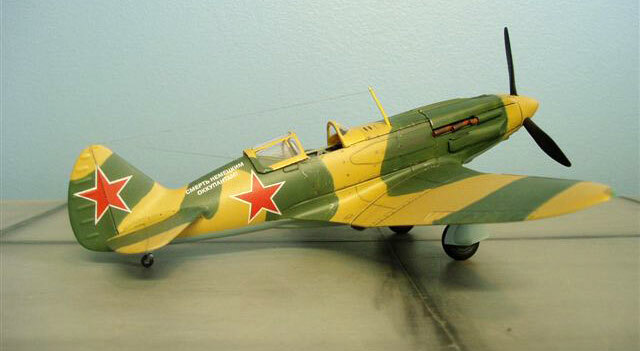 The model was painted with old Humbrol HG-7 German Pale Yellow, which is a color for WW I German aircraft; and Humbrol Matt Green no 30 for upper surfaces. 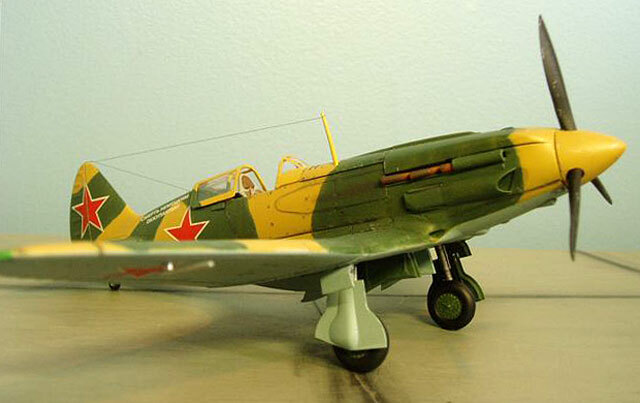 The underside was painted Humbrol HT-2 underside blue. 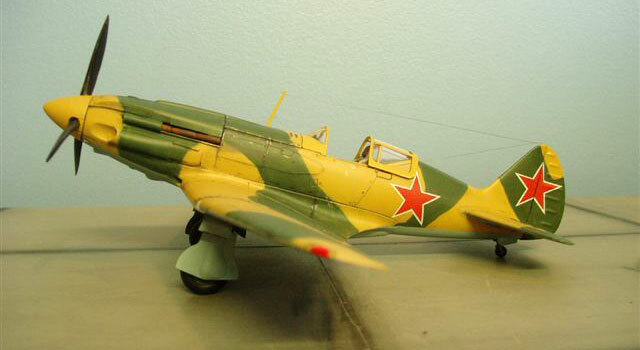 Decals are from the kit. 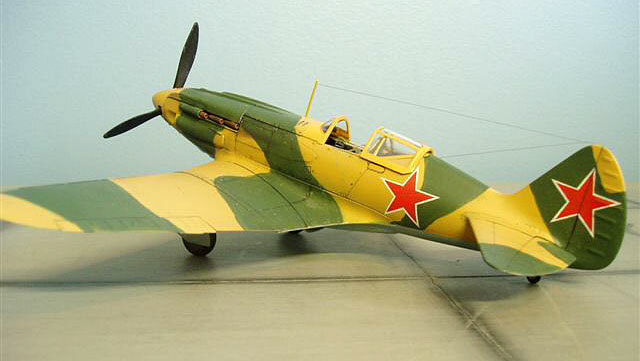 The model depicts a MIG-3 flown by LT Sergei Dolgushin of 180 IAP PVO (air defense) of Moscow in autumn 1941.